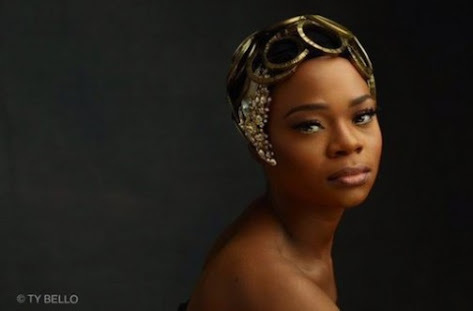 I’m pretty sure that most of you must have read or heard from someone about the story that has made the country and international community buzz in recent weeks – the story of Olajumoke Orisaguna, the bread seller turned model. 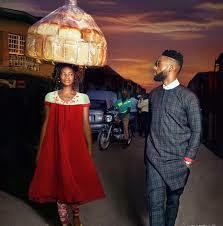 Olajumoke, a 27-year-old mother of two, was just jejely doing her thing; hawking bread well set on her head in Sabo area of Lagos when she innocently stepped into a photo shoot of popular photographer TY Bello with Nigerian-born British singer Tinie Tempah. The picture came out ‘perfect’ and she looking like a professional model. 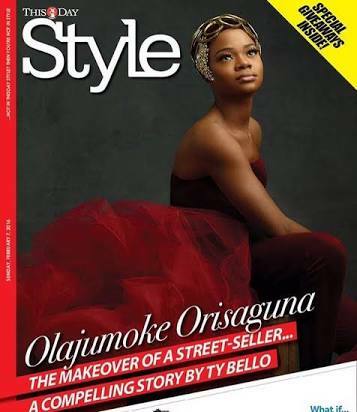 TY Bello took her under her wings; gave her a make over and helped her to feature on ThisDay’s Style cover. Ever since then, she’s been featured on CNN, BBC, Huffington Post, and virtually everywhere online. I was really happy for Olajumoke and her family, and I likened it to the case of one stumbling across a new talent when we least expect it. You know how sports scouts go to games to watch a certain player and discover another talent altogether, much to their own surprise. Yeah just like that! After all, nobody is talking about Tinie Tempah who was supposed to be the main subject of the photo shoot. I can imagine how many pastors who have used or planning to use Olajumoke, as a focal point, to prepare their semons since the story broke out. And telling their congregations to tap into such blessing when praying. However, the Cinderella story of Jumoke went from inspiring to weird for me when I heard a luxurious apartment company in Lagos had given her a new apartment. I mean, there could be workers in that company who help in building those luxurious apartments but don’t live in one or even have a roof over their heads sef. But hey, we only get what we negotiate for and not what we deserve in life right? Olajumoke has become an overnight celebrity – a brand – however I find this sudden metamorphosis tainted with hypocrisy and opportunism. The height of it came last week when Jumoke was scheduled to give a motivational speech at a conference in Abuja even though she doesn’t speak English fluently. I am aware that the media love a sensational story and the story of Jumoke certainly offers them such sensationalism. As a result, everybody wants a piece of her as this seems to be the easiest path to embrace news headlines. I had thought Olajumoke was feted by corporate bodies for humanitarian purpose or corporate social responsibility (CSR) but it has become a curious case of exploiting an innocent victim – a case of “Who no like to embrace the winner?” Just pause and ask yourself if these sudden philatronpists would have ever noticed Olajumoke on the streets or even bothered to buy the bread she sells when Shoprite bread and the like dey! There are many people like Jumoke out there; still hawking one thing or the other or even positioned in front of strategic places asking for alms, who never get noticed or helped. Also, some of these big shots have househelps who have lived with them for years, who yearn for the smallest grain of such benevolence bestowed on Olajumoke. Sooner or later, this story will fade out and media will find something else to have their interest piqued. As a consequence, I sincerely wonder what will happen to her and her family when this honeymoon is over. Would she still have a luxury apartment? Would she make it in the modelling world? Would she set up her own beauty salon(s)? Would StanbicIBTC honour their promise and ensure her kids are educated up to tertiary level? And most importantly, would her family still be together? I guess only time has the answers to these questions. Despite all these uncertainties surrounding this story, one thing is certain, the lady and her family definitely need all the protection they can get right now. I really hope her story won’t be a serious instance of “if you are reading this, it is already late” in the end. I really hope she comes out unscathed in the end. As for the pastors, best believe some will because people love shortcuts and less stressful paths. From rags to riches, a cinderella story. She needs good people to help her navigate stardom and the benefits it confers so she doesn’t become a statistic. I sincerely hope she gets it right in the end. Such a good point you addressed! Unfortunately most things that como quickly usually fade quickly as well. I hope someone in the midst of this opportuneness actually has her best interests and makes sure some of her “gifts” can be used in the long run. Thank you diElleci for stopping by. I hope she meets someone that will direct and help her. Reblogged this on welcome to Naija varsity news. Previous PostPrevious Can Sports Help Strengthen The Naira?